Track or Shipping process is considered as a standout amongst the most unpleasant parts for your clients since they have effectively paid yet their bought items still haven’t arrived, however. Our track arranges augmentation will take your clients specifically to the following page with login, at that point they can track Magento 2 arrange status effortlessly. 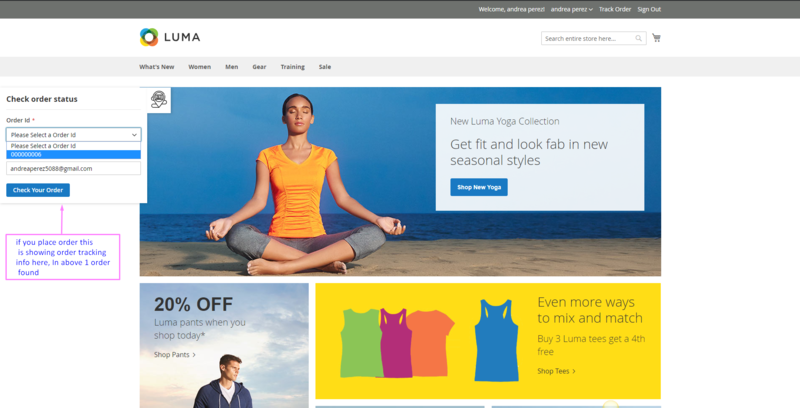 It makes online clients more anxious to get the item for which they have officially spent their cash. That is the reason they are sitting tight for conveyance and expect it rapidly or possibly need to know the transportation status of it. Thus, you can lessen the client’s worry that adds to your store believability and clients’ trust. By empowering customers to track their set requests progressively and with precise information, it bodes well in transformation and unwavering quality of brand/business. 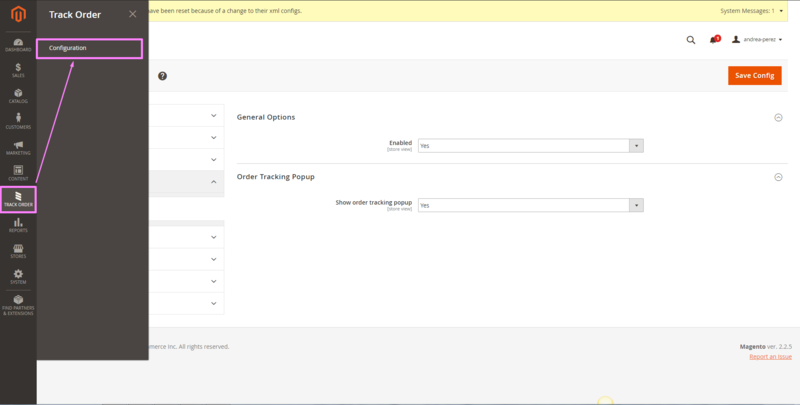 This extension also provides a sidebar panel for quickly track order. We give a simple method to get to arrange the following module on the front screen. It tends to be through “Track Order” connection of on header and sidebar panel. 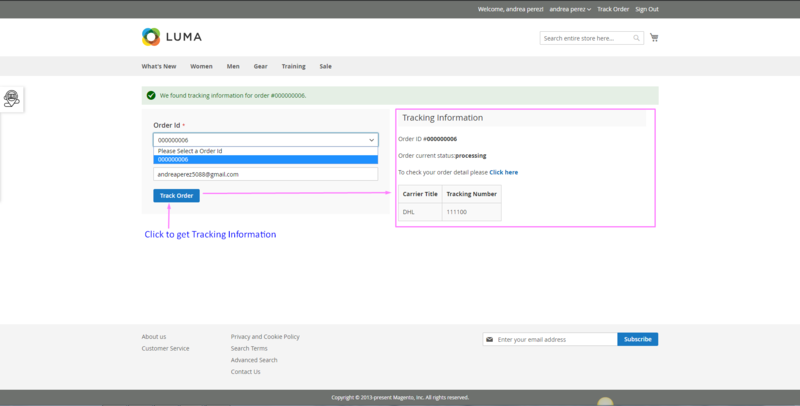 It gives Real-time Order Tracking by AJAX innovations. 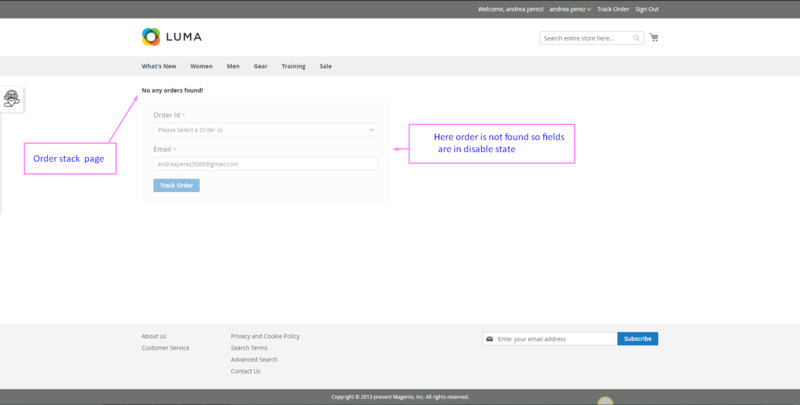 Logged in customers have orders id and their email already filled into the input fields. The extension gives you continuously and moment updates of your request. Magento 2 arrange following will take your clients straightforwardly to the following page with login. It is extremely easy to use interface and furthermore has a multi-dialect bolster. It in a flash recovers arrange data with the assistance of Ajax. Online business proprietors can win the trust of their clients who are anticipating their requests enthusiastically with arranging following offices. Magento 2 store can enhance notorieties and brand picture a considerable measure by giving best request following client encounters utilizing our augmentation. You can gather the email address of customers who are likewise searching for arrange following benefits as visitors without formal enlistment. Request following offices closes pressure and strain identified with the destiny of requests set by purchasers. In the wake of getting precise and straightforward data with respect to delivery, clients can organize their request accepting a timetable by changing different commitment outside the goal put like homes or workplaces. It gives an awesome fulfillment to the customers who expect the best internet shopping encounters. Once you have successfully installed the extension, go to Track Order => Configuration to configure the extension for use. Here you can find following options. Enabled: option to enable or disable the extension. 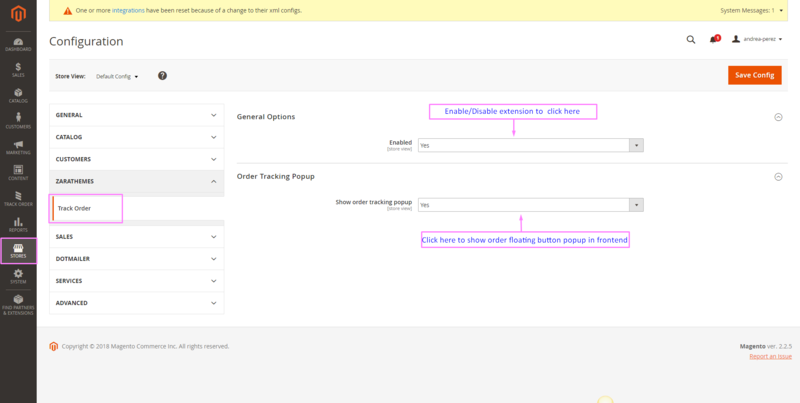 Show order tracking popup: option to enable or disable order sidebar popup into the frontend.